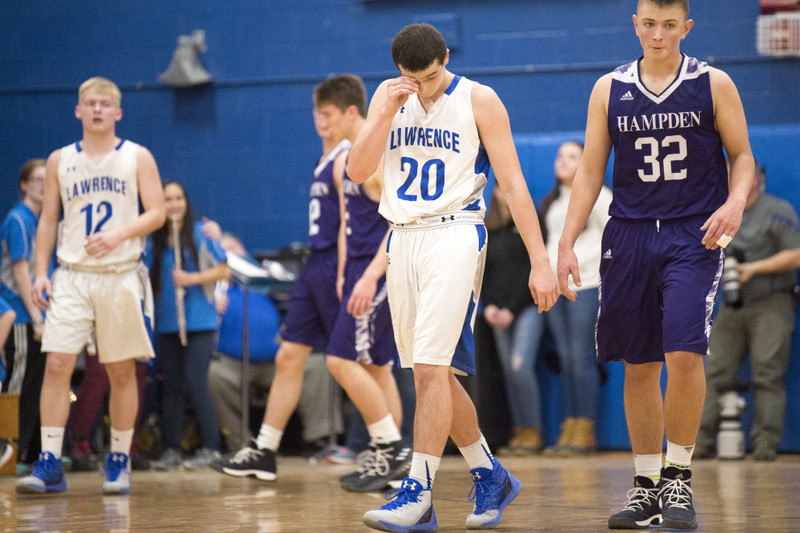 Hot Hampden storms past Bulldogs in KVAC A rout. 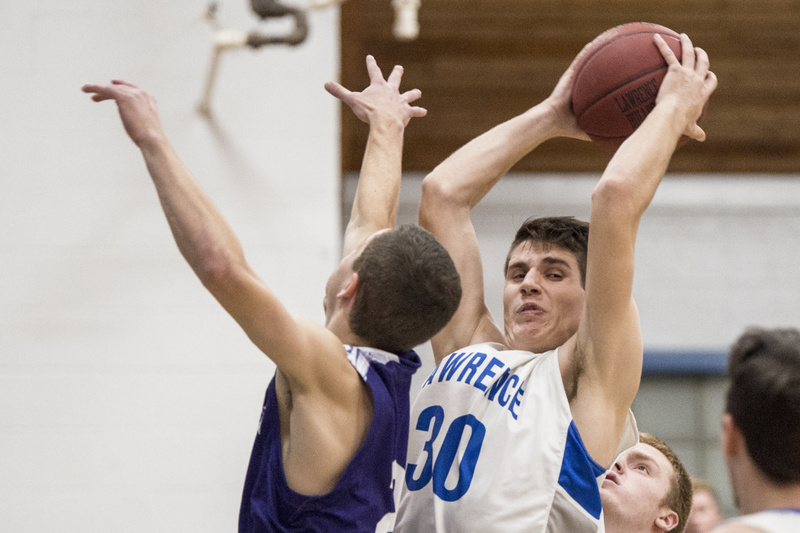 Lawrence guard Nick Robertson was coming off back-to-back 20 point games. The key to the Broncos was containing him and Nadeau. While Nadeau had just four points, Robertson was held scoreless. “The goal was to make Robertson and Nadeau work hard. I thought we did that. They’re their two best players,” Bartlett said. Hampden led 29-8 at the half and 41-8 after three quarters. 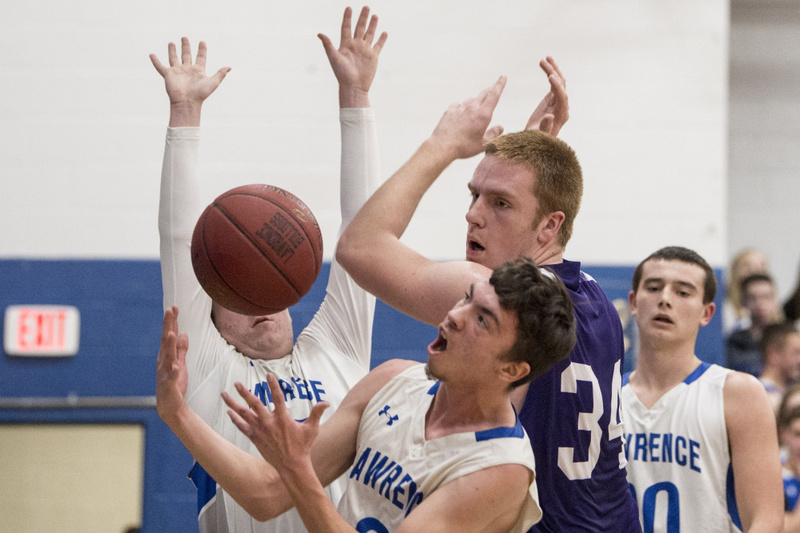 With Lawrence’s defense rotating to double team Ian McIntyre in the low post, the Broncos moved the ball well to open up others in the offense. 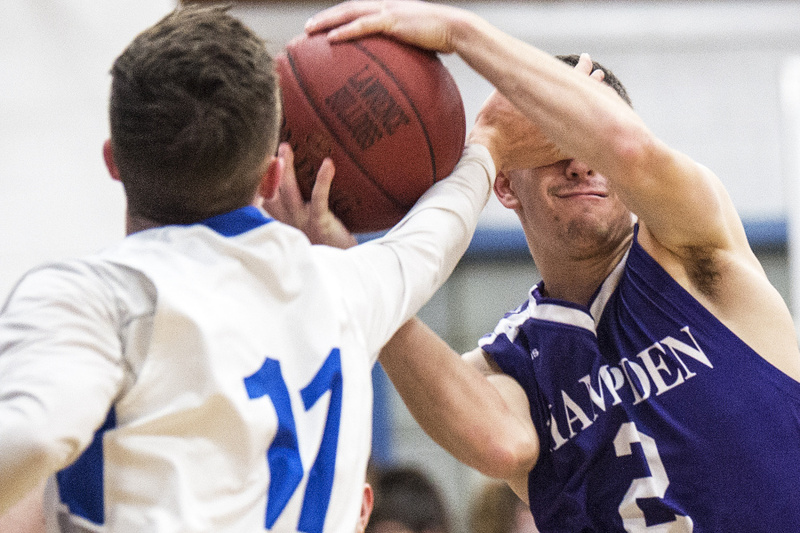 While McIntrye led all scorers with 14 points, Johnny Wolfington added 11 and Bryce Lausier had eight points for Hampden. While Lawrence’s offense was virtually non-existent, Pellerin was pleased with the defensive effort. “I thought we showed some hustle. In years past, they’ve really dominated us on their offensive glass. We did OK defensive rebounding. It’s a bit of a shame that some of the things we did well, the guys are going to have a hard time getting past that, when you look at the final score,” Pellerin said. Tommy Raye had 11 rebounds for the Broncos. 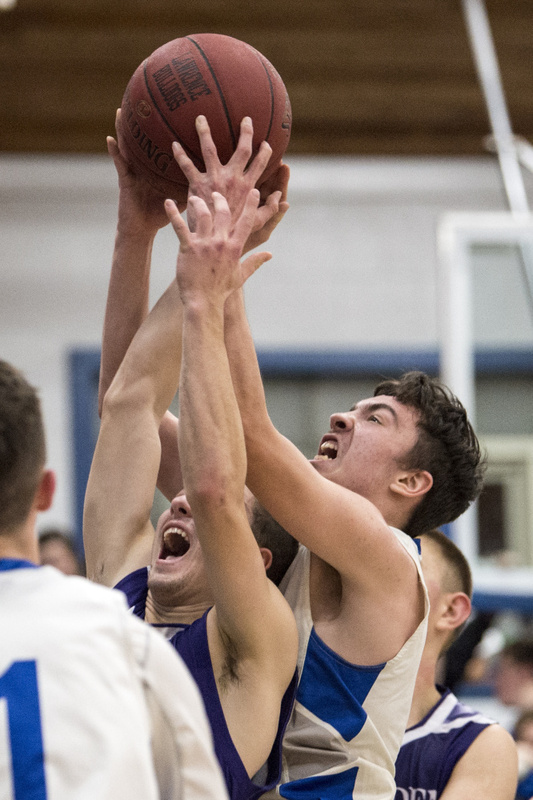 To Bartlett, a win in loud Folsom Gym was a benchmark for his team. The Broncos return a lot of players with varsity experience, and this was an important road victory. “This is a tough place to play. I thought last year, Tommy and Johnny and Ian were the only three that were ready to play here. I think we saw tonight there are a lot more guys who are ready to play here in this environment,” Bartlett said.